Papers from the 2011 OBERTO conference recently provided the inspiration for a special issue of Cambridge Opera Journal on new approaches to reception in opera studies. The issue, published in July 2013, was co-edited by Alexandra Wilson and Roberta Montemorra Marvin (University of Iowa) and features articles by Katharine Ellis, Clair Rowden, Cormac Newark, Carlo Cenciarelli and Alexandra Wilson. 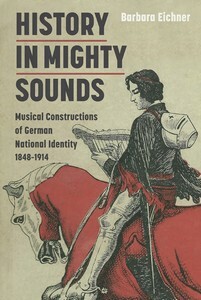 Dr Barbara Eichner’s monograph History in Mighty Sounds: Musical Constructions of German National Identity, 1848 -1914 was published by Boydell & Brewer in 2012. It is available here. Music played a central role in the self-conception of middle-class Germans between the March Revolution of 1848 and the First World War. Although German music was widely held to be ‘universal’ and thus apolitical, it participated – like the other arts – in the historicist project of shaping the nation’s future by calling on the national heritage. Compositions based on historical events and heroes invited individual as well as collective identification and brought alive a past that compared favourably with contemporary conditions. Eichner maps out a varied picture of these ‘invented traditions’ and the manifold ideas of ‘Germanness’ to which they gave rise, exemplified through works by familiar composers like Max Bruch or Carl Reinecke as well as their nowadays little-known contemporaries. 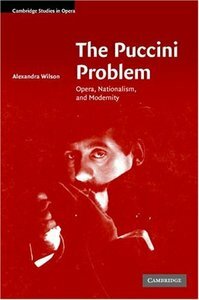 Dr Alexandra Wilson’s The Puccini Problem: Opera, Nationalism, and Modernity was published by Cambridge Studies in Opera in 2007 (paperback edition 2009). In 2008 it won the American Musicological Society’s Lewis Lockwood Award for an exceptional work of musical scholarship by a scholar in the early stages of their career. It is available here. A detailed investigation of the reception and cultural contexts of Puccini’s music, this book offers a fresh view of this historically important but frequently overlooked composer. Wilson’s study explores the ways in which Puccini’s music and persona were held up as both the antidote to and the embodiment of the decadence widely felt to be afflicting late nineteenth- and early twentieth-century Italy, a nation which although politically unified remained culturally divided. 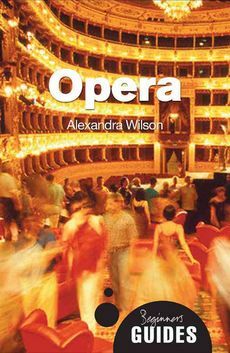 Alexandra’s Opera: A Beginner’s Guide (2010) is a book aimed at students and a general audience, which seeks to demonstrate opera’s relevance to everyday life. The book is available here. Opera is often dismissed as outdated and excessive, and perceived to be characterised by excessive passions, sumptuous costumes, and ill-mannered divas. In reality, however, operas address the most fundamental and universal of human concerns – love, death, jealousy, greed, and power. Revealing the diverse reasons behind opera’s lasting appeal, opera champion and expert Alexandra Wilson provides a lucid and engaging introduction to the agendas that have governed its composition, production and reception over the last four centuries, and explains the reasons behind its enduring appeal. 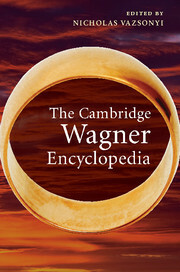 Barbara has also contributed articles on ‘German identity’, ‘Lohengrin’, ‘Elsa’ and ‘Ortrud’ to The Cambridge Wagner Encyclopedia, which is available here. Richard Wagner is one of the most controversial figures in Western cultural history. He revolutionized not only opera but the very concept of art, and his works and ideas have had an immeasurable impact on both the cultural and political landscapes of the late nineteenth and twentieth centuries. From “absolute music” to “Zurich” and from “Theodor Adorno” to “Hermann Zumpe,” the vividly-written entries of The Cambridge Wagner Encyclopedia have been contributed by recognized authorities and cover a comprehensive range of topics. More than eighty scholars from around the world, representing disciplines from history and philosophy to film studies and medicine, provide fascinating insights into Wagner’s life, career, and influence. Multiple appendices include listings of Wagner’s works, historic productions, recordings, and addresses where he lived, to round out a volume that will be an essential and reliable resource for enthusiasts and academics alike. 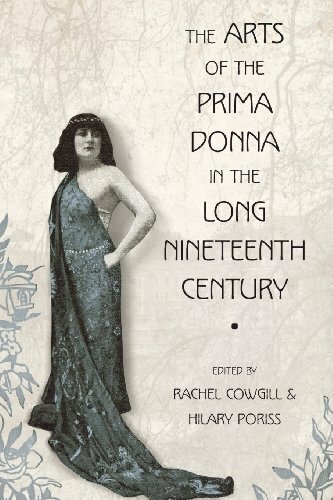 Alexandra Wilson contributed an essay on touring opera singers in the 1920s to The Arts of the Prima Donna in the Long Nineteenth Century (ed. Rachel Cowgill and Hilary Poriss, New York: Oxford University Press, 2012). The book is available here. Female characters assumed increasing prominence in the narratives of nineteenth- and early twentieth-century opera. And for contemporary audiences, many of these characters – and the celebrated women who played them – still define opera at its finest and most searingly affective, even if storylines leave them swooning and faded by the end of the drama. The presence and representation of women in opera has been addressed in a range of recent studies that offer valuable insights into the operatic stage as cultural space, focusing a critical lens at the text and the position and signification of female characters. Moving that lens onto the historical, The Arts of the Prima Donna in the Long Nineteenth Century sheds light on the singers who created and inhabited these roles, the flesh-and-blood women who embodied these fabled “doomed women” onstage before an audience. Both Alexandra and Barabara have also contributed to BBC Radio 3’s Opera Guides, which can be found here. 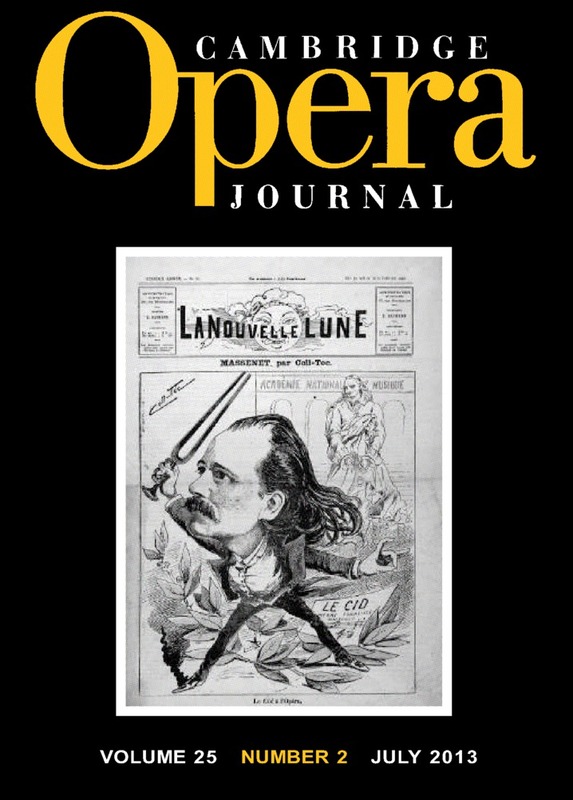 Academic articles on opera by OBERTO staff have covered topics as wide ranging as 1950s stagings of Italian comic operas, Wagner in London and allegory in the operas of Richard Strauss.